Summer nights are quickly winding down, much to our dismay. 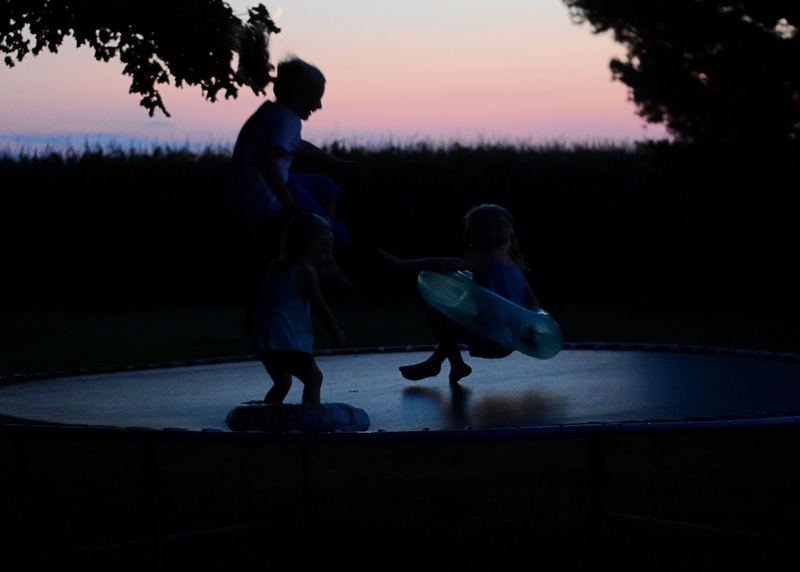 Summer always seems to be our busiest time, but also gives us the chance to spend more time as a family. 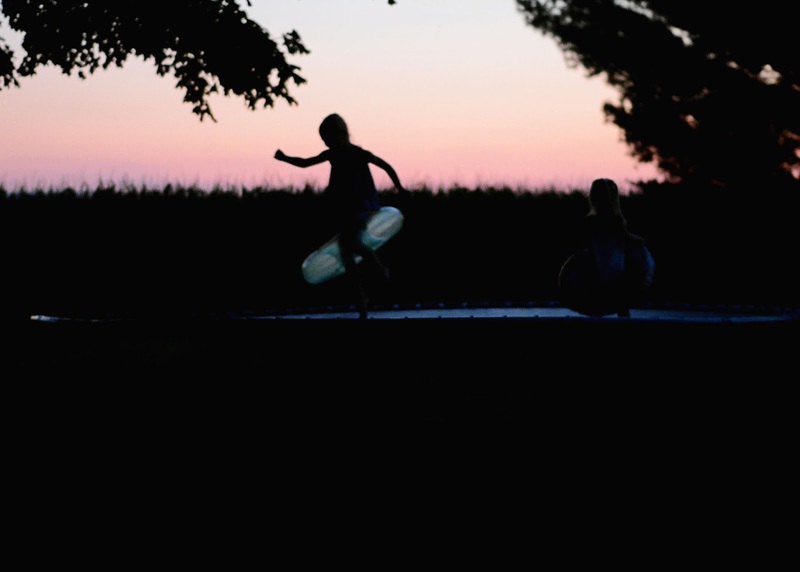 The days and nights may be long, but we sure do enjoy them! 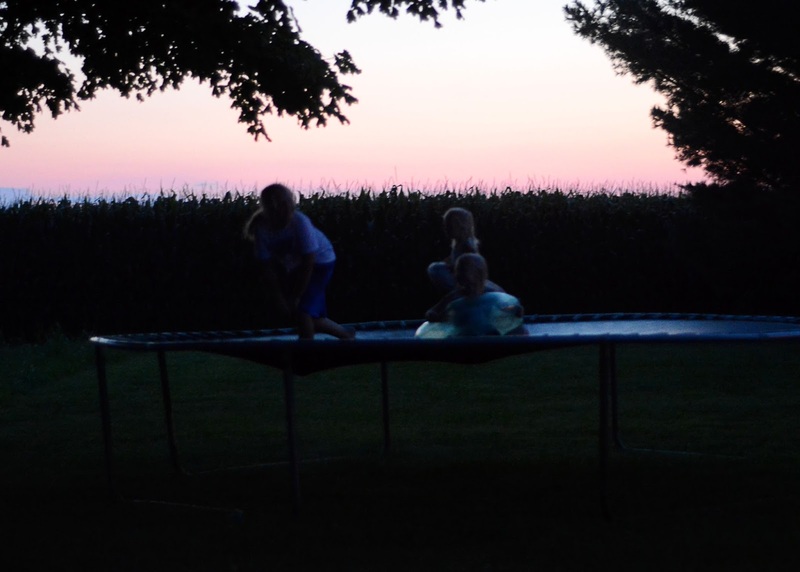 I captured these the other night while the girls were jumping on a trampoline...with a pool floatie, of course;) The lighting and quality isn't the best...I'm still working on my low-light photography and after nearly 10 years, I'm beginning to wonder if I will ever master that, but I love them. 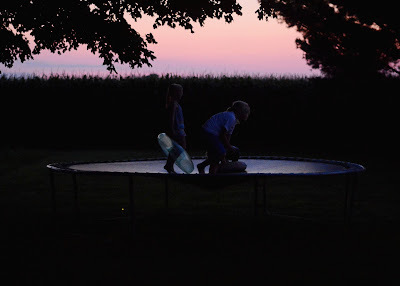 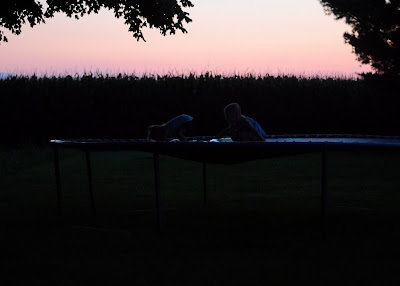 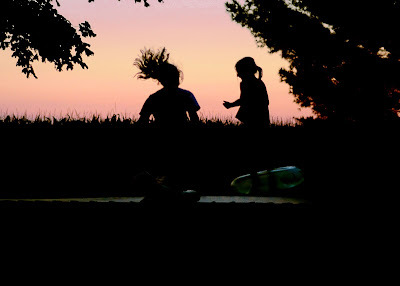 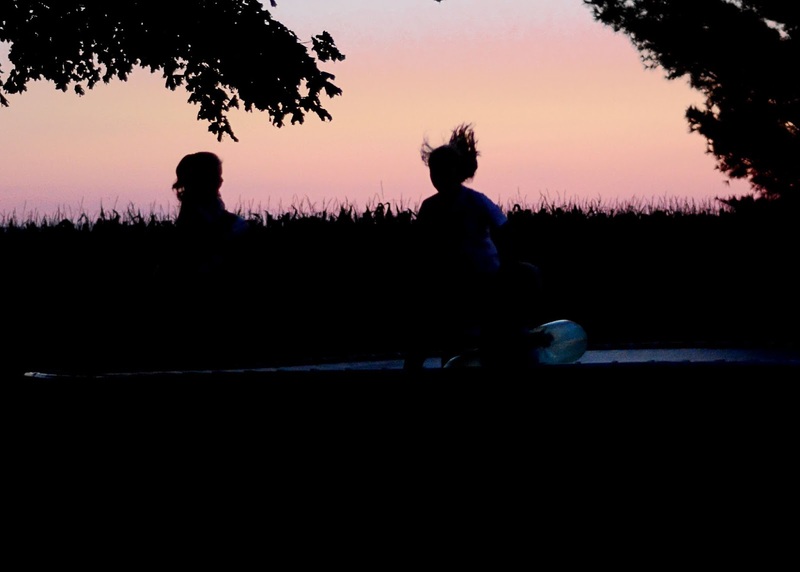 Sunset, cornfields, and a trampoline. Perfection!